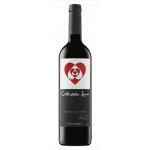 Bodega Iniesta elaborates this Corazón Loco , a red wine from Manchuela vinified from tempranillo, graciano and syrah. 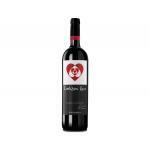 The Corazón Loco is the ideal red to combine with manchego cheese and red meat. According to Uvinum users, this red wine earns 4,3 out of 5 points. What are the opinions of other vintages or volumes of Corazón Loco?